With spring beginning to ease its way into our lives, it has come as a little bit of a shock that I have been loathe to give up the hot breakfasts. After such a long winter I am usually hanging out for something light and fresh at the beginning of the day. Perhaps it’s because we’ve really experimented with breakfasts this year. We have chosen to feed Raffaella a vegetarian diet (like her mum!) and it has forced us to look at different types of meals to give her (and us) to ensure the best start to her day. Even now that she is eating most things we still try and limit the amount of dairy (in particular cow’s milk), sugar, salt and gluten that she has in her diet as they have the reputation of being hard to digest or place added strain on her little digestive system. Her parents should probably eat more like her too! So while this week’s post heralds the new season, it still allows us to enjoy the comforts of a bowl of warm porridge as the mornings are still a little cool. I learnt to make semolina from one of the most talented cooks I know – my mum. To make her traditional version a little lighter I cooked it in coconut milk and added a side of lemon yoghurt and walnuts. Love you mama. 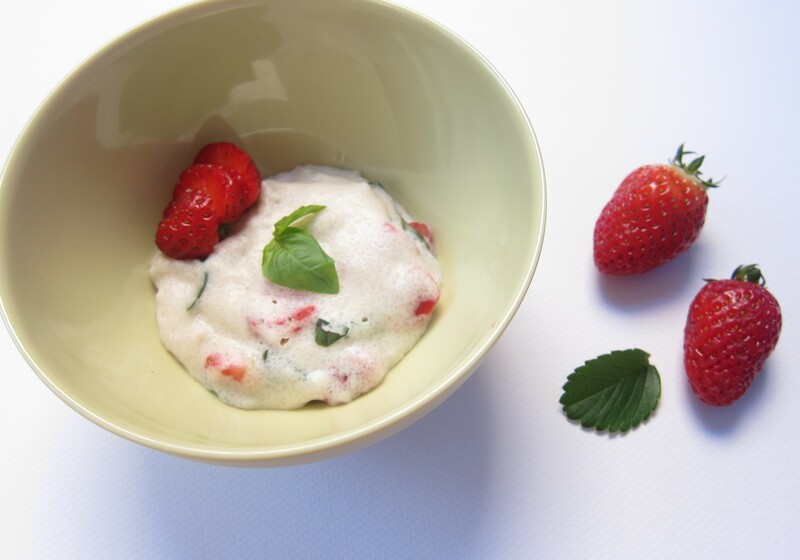 I have not teamed strawberries with basil before and I was really excited by the outcome. 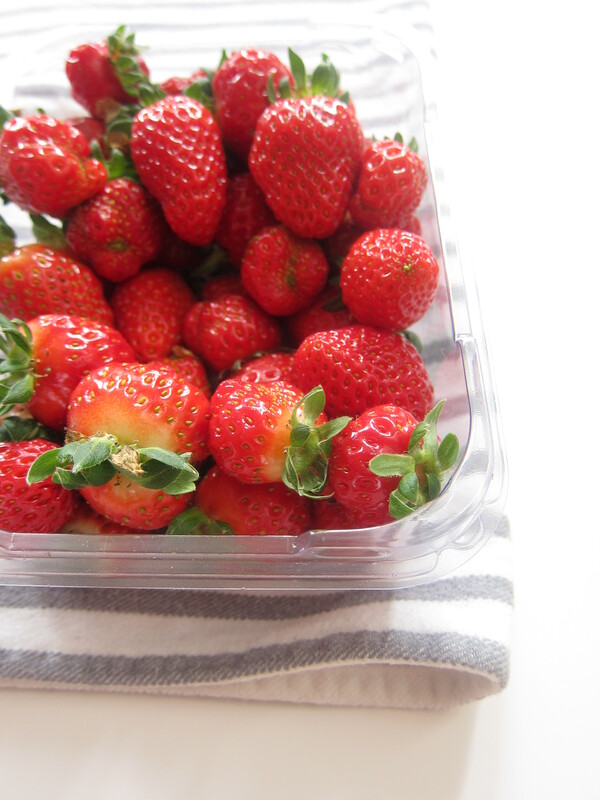 Strawberries were in abundance at the markets over the weekend and the basil was a beautifully sweet accompaniment. I have never seen Raffaella eat breakfast with such gusto. Please note that strawberries, honey and nuts are on the ‘avoid’ list for children under the age of one here in Australia. You could easily substitute the strawberries for raspberries or blackberries, and for the yoghurt, mix in some coconut flakes or chia seeds instead of the nuts. Bring the coconut milk to the boil and add the semolina and vanilla extract. Reduce the heat and simmer stirring constantly until the liquid reduces and the semolina thickens. If necessary add more coconut milk to achieve the desired consistency. 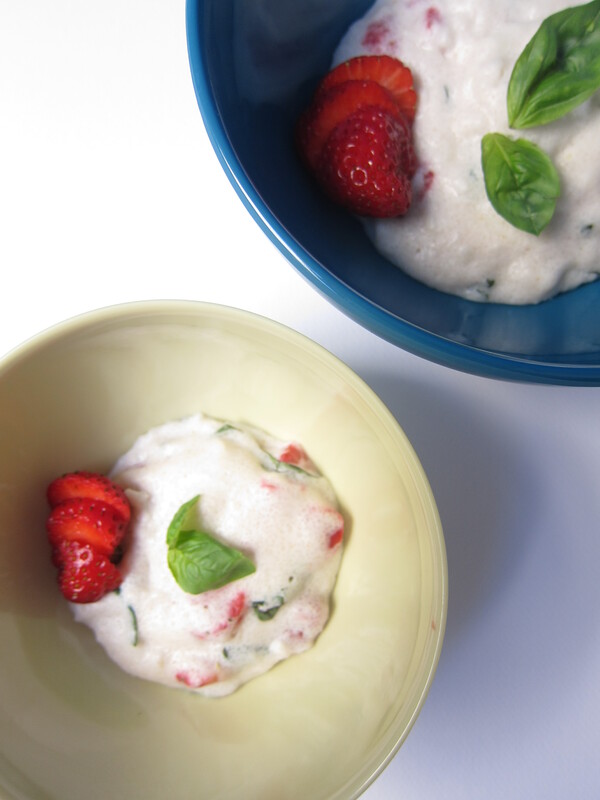 Once cooked (the semolina will be nice and soft), remove from the heat and fold in the basil and strawberries. You can add a little agave syrup or maple syrup here if you prefer it sweeter. Serve warm. To make the lemon yoghurt, combine the yoghurt, lemon juice and honey well and sprinkle the walnuts on top to finish. Enjoying your photos and recipes…great blog! Thank you for your wonderful comment! I just saw your cocktail post http://putneyfarm.com/2012/10/15/mixology-monday-bein-green-cocktails/ – what a great idea. I actually made up my first cocktail a few weeks ago – I’ll have to post it and once I get it right I’ll throw a comment your way!